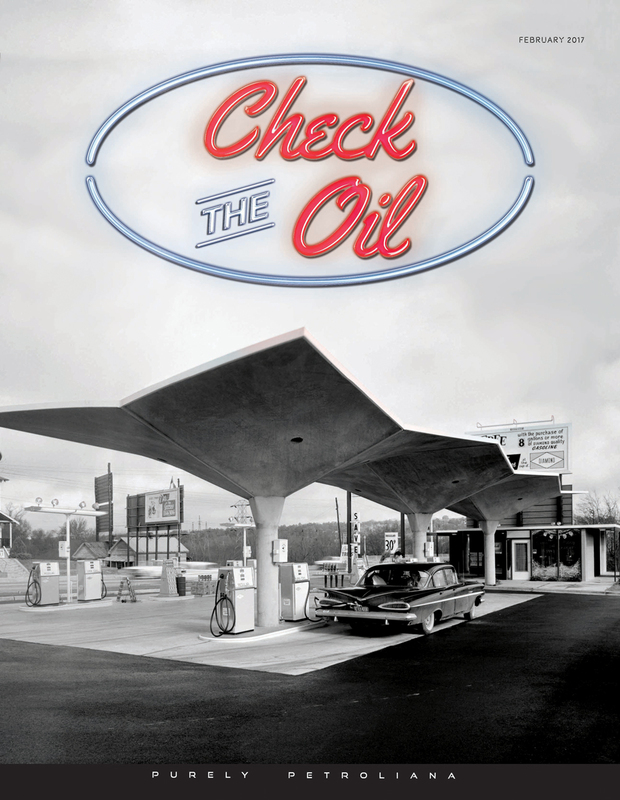 you'll love "Check the Oil!" magazine, the original voice of petroliana since 1983! "CTO!" 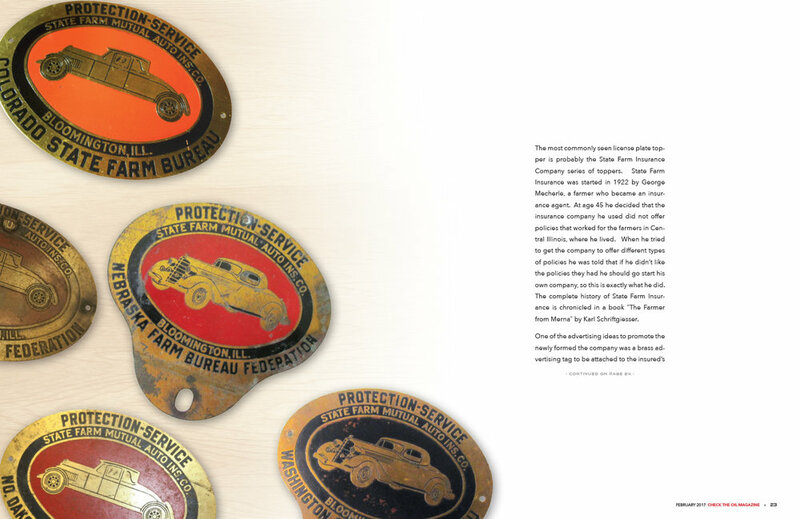 readers are an international group of enthusiasts and collectors of the memorabilia and history of the petroleum industry. 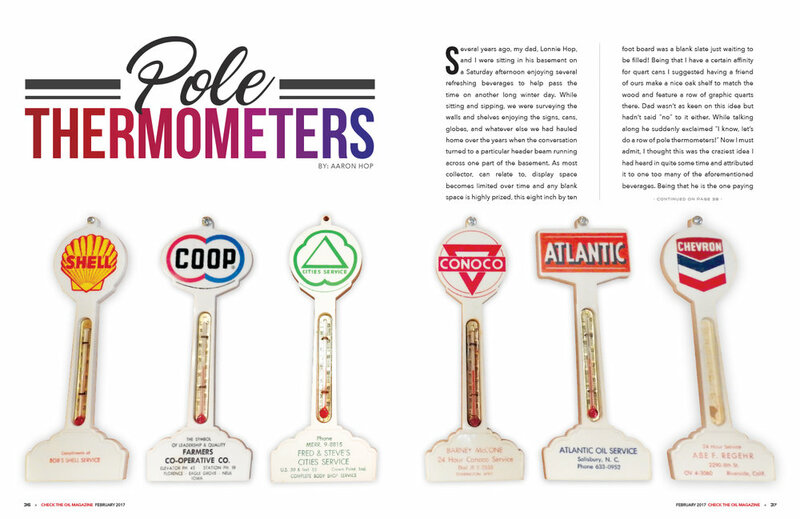 They collect just about anything associated with the gas and oil business of days-gone-by, such as oil cans, oil bottles, gas pumps, gas pump globes, signs, maps, or pretty much anything with a gas or oil company logo on it. 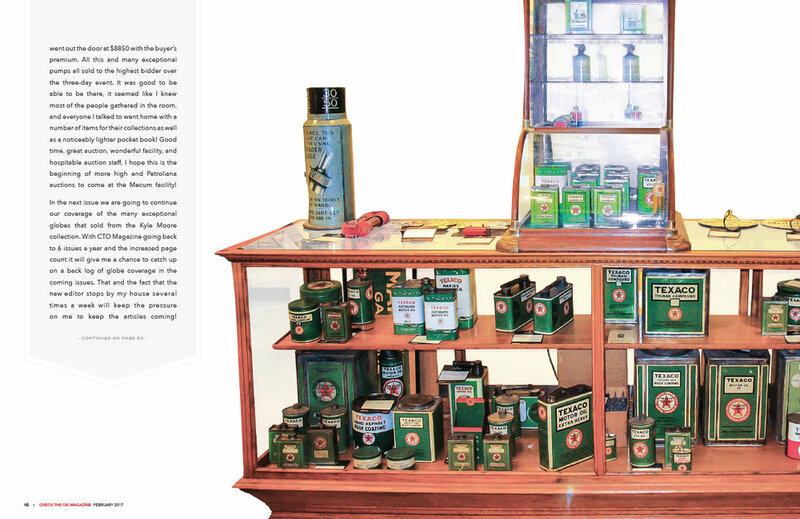 Several have even restored old filling stations! Started back in the mid-1980's, "CTO!" features articles of wide ranging Petroliana interest, such as histories of oil companies; the memorabilia and artifacts associated with them; reader's collections; a calendar and coverage of many gas and oil related events; related commercial advertising; a subscriber's FREE classified as section where one can buy, sell and trade for collectible items; and much more. Not just another newsletter, "CTO!" 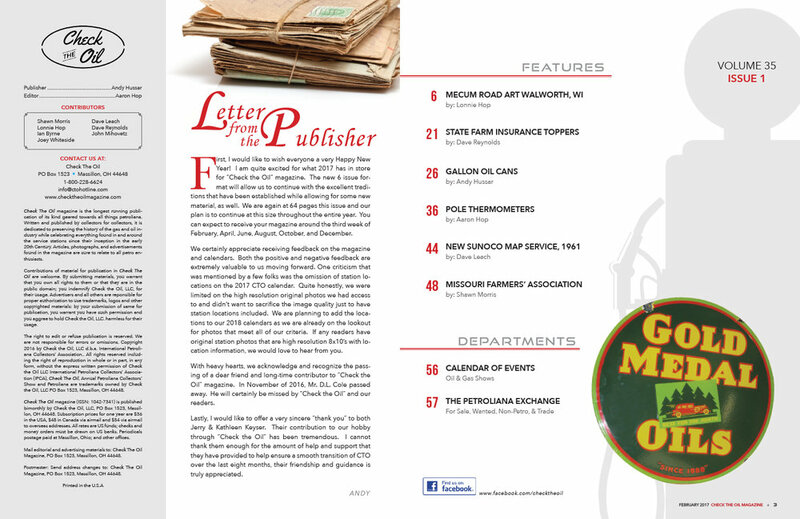 is a high-quality magazine featuring vintage and new photographs and noted regular columnists, published quarterly. Every page of "CTO!" is in full color for your added pleasure. If you are still not convinced, please note that you can order a sample copy of "CTO!". Give us a try... you won't be disappointed. Interiors of Our Latest CTO Issue — Available Now! Click here to subscribe at our online store! Our newest issue is available now! Subscribe through our online store. See previews of our past issues.